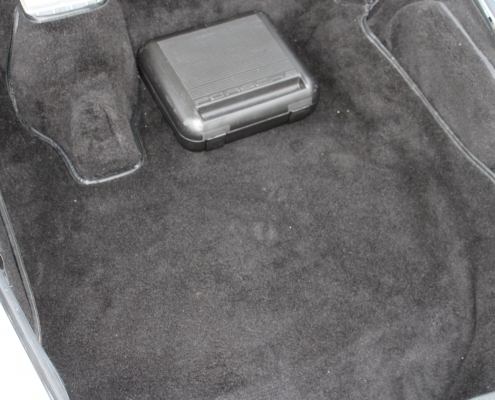 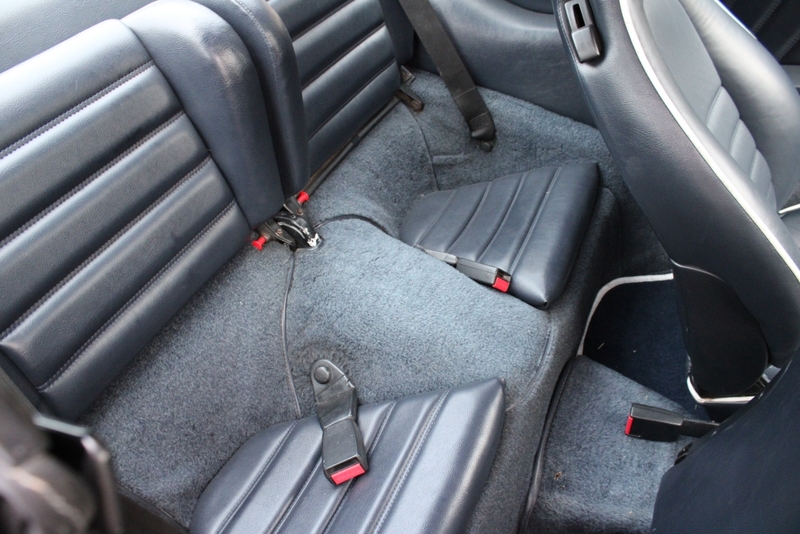 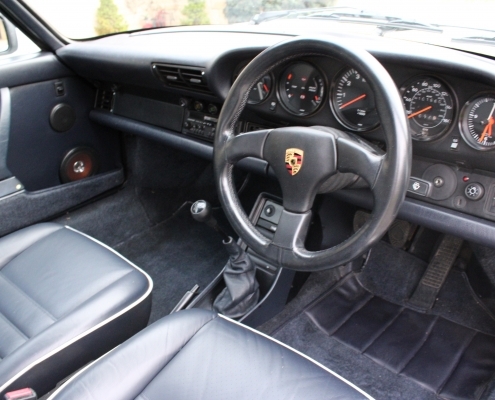 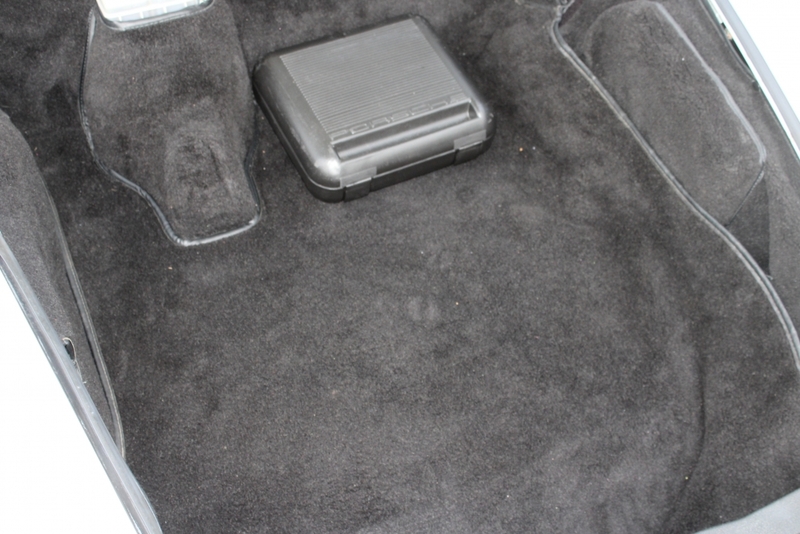 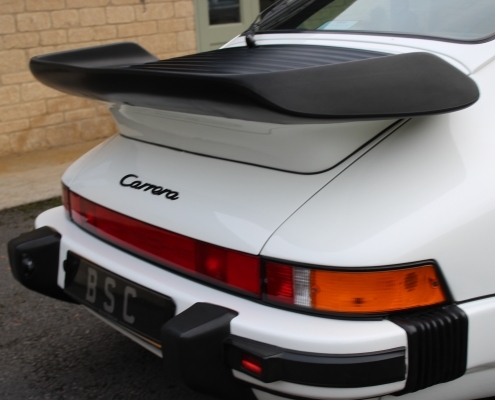 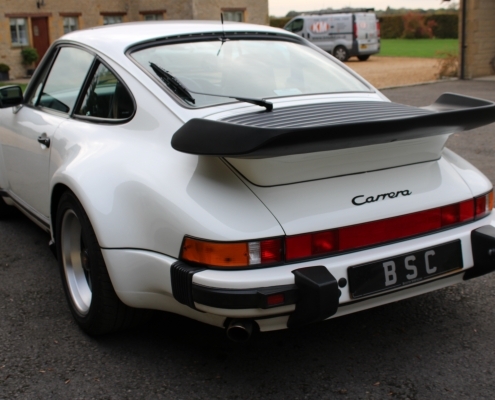 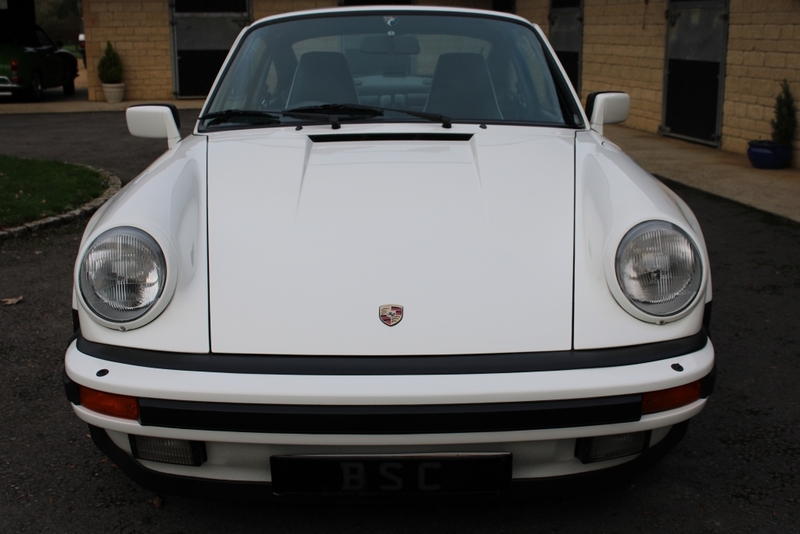 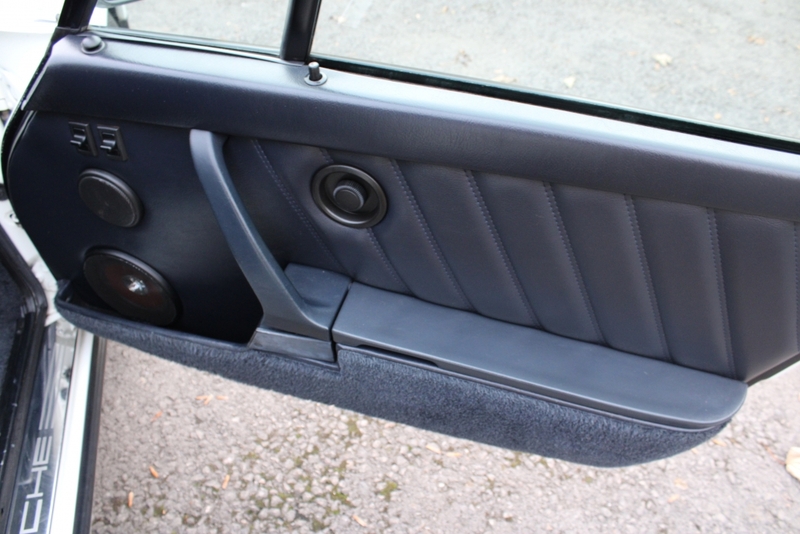 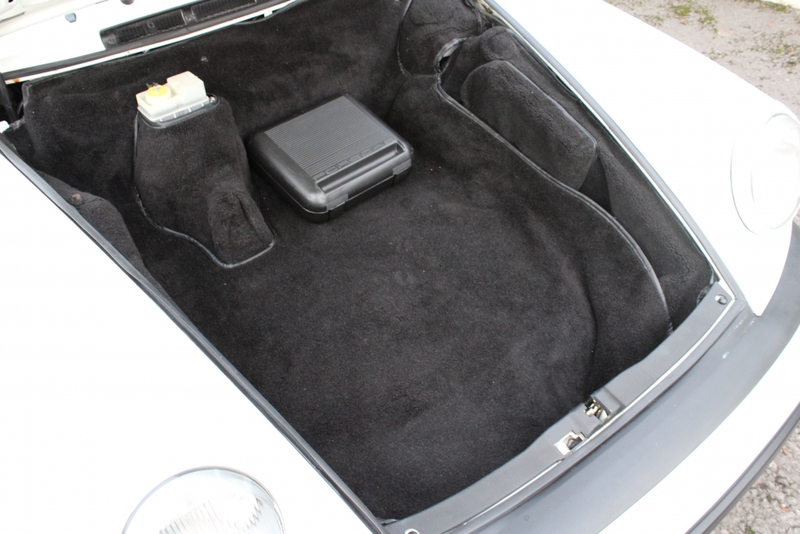 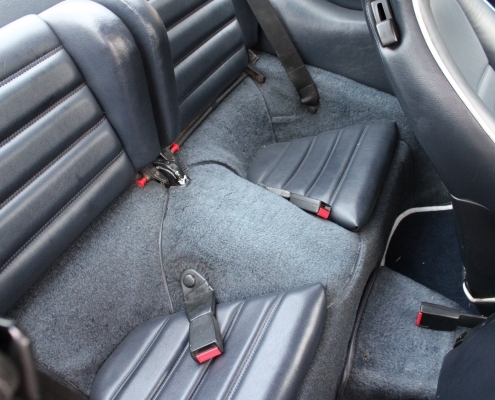 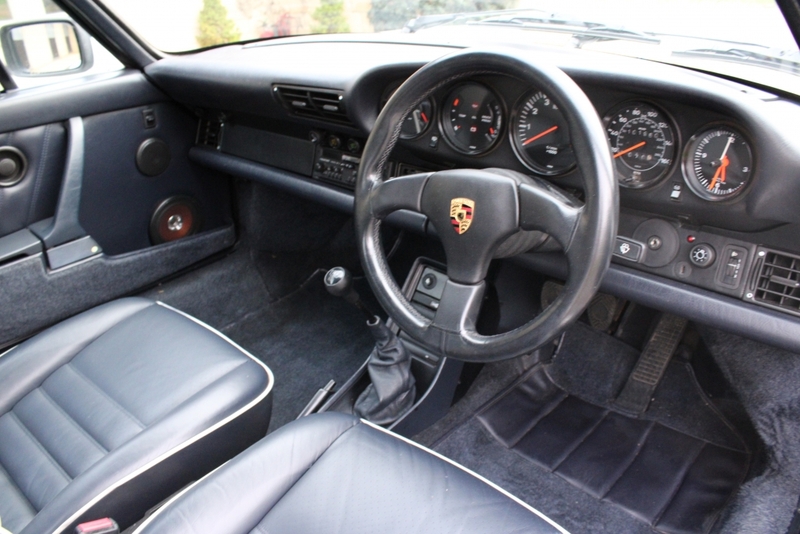 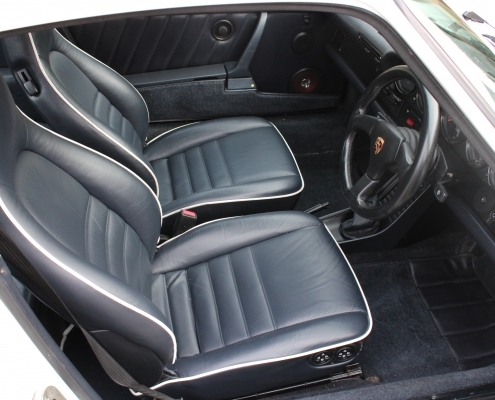 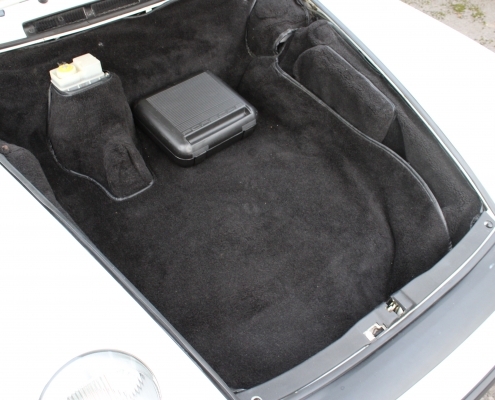 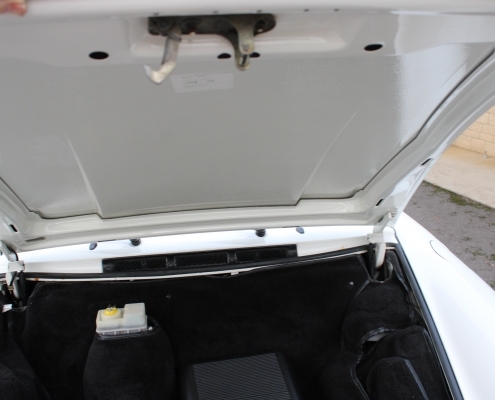 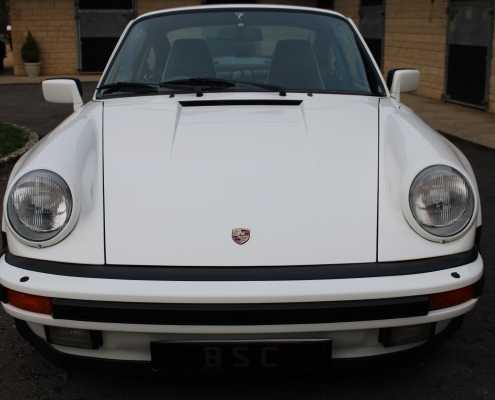 By the late Eighties the 911 had been developed for 25 years into a well sorted and stunning supercar. 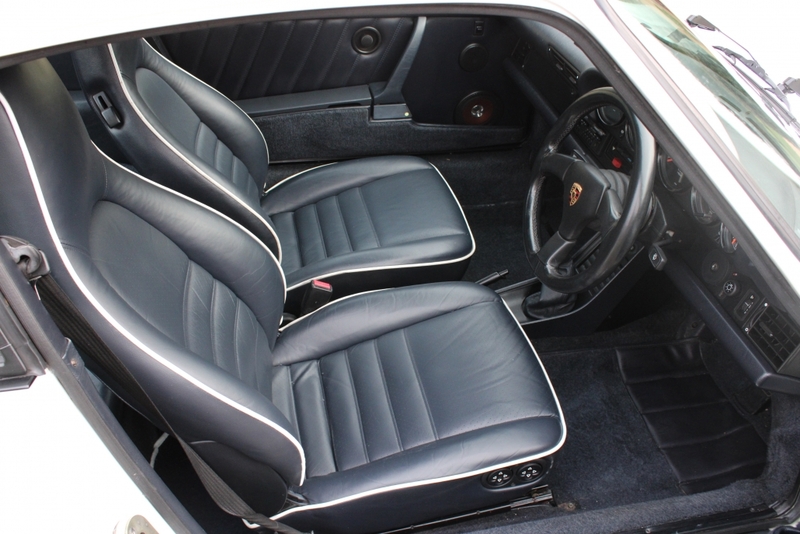 Porsche were ready to launch their new 964 model in late 1989 and so wanted to finish the 911 range with the best possible versions of the original design. 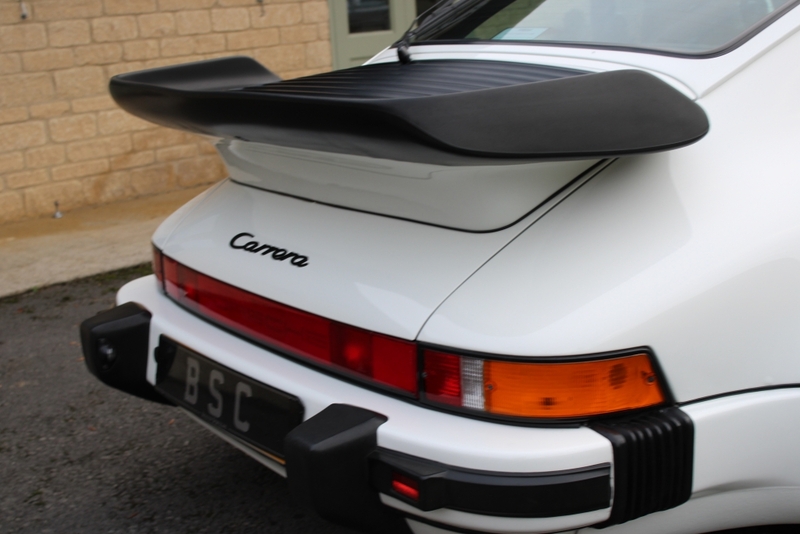 This included the SC and Turbo models with the Supersport slotting in between and effectively being a Turbo without the forced charged engine. 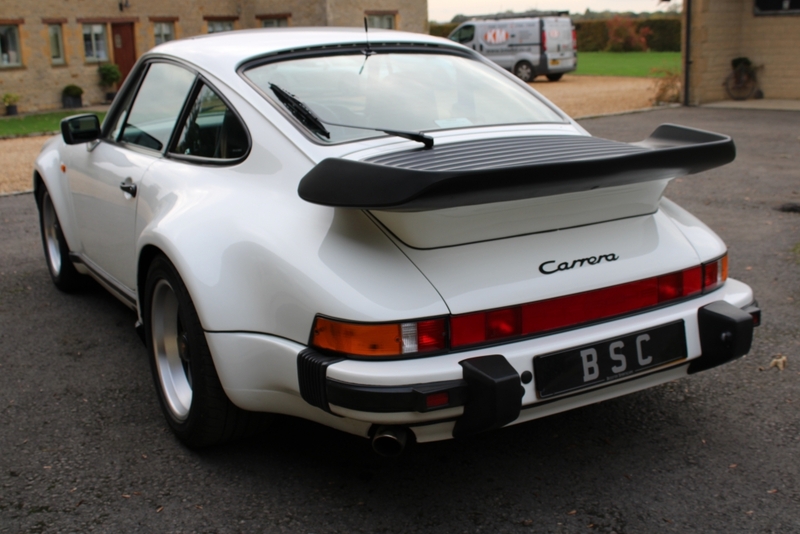 The Supersport cost an additional £10000 over the standard SC but was worth every penny with its beautiful looks and race tuned chassis. 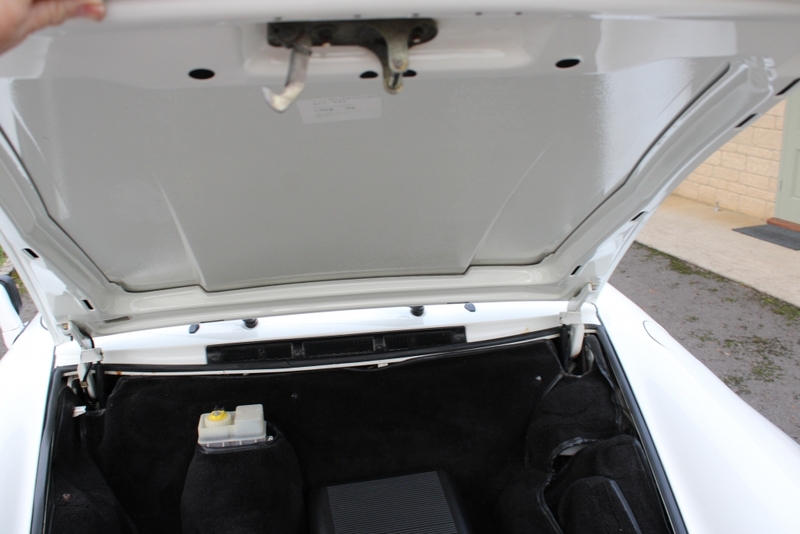 This is a final year example and the only Grand Prix white coupe delivered in the UK in 1989 with total production numbering 34 units. 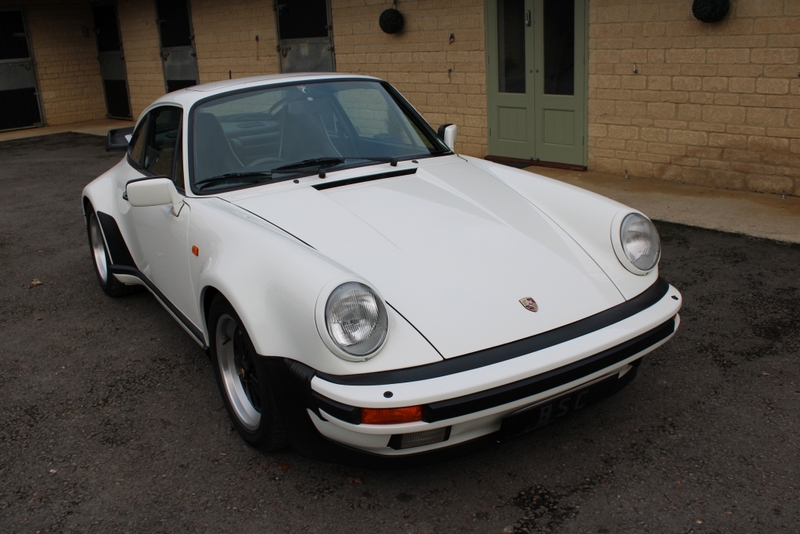 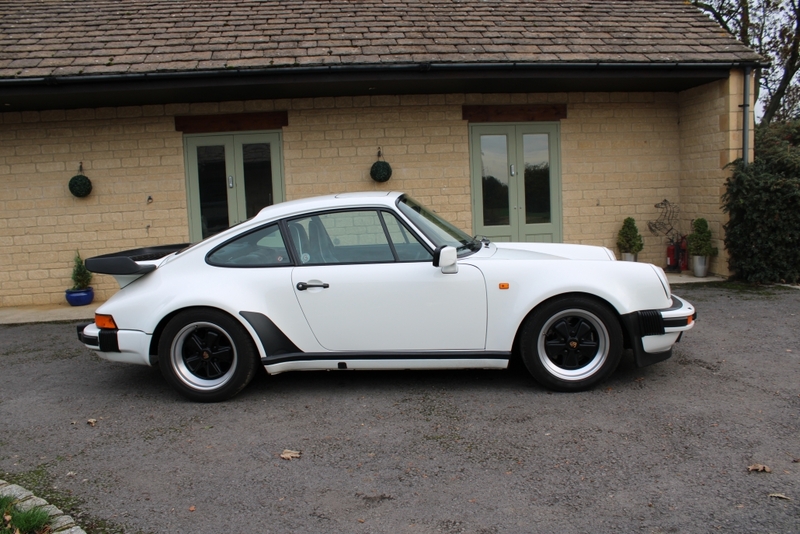 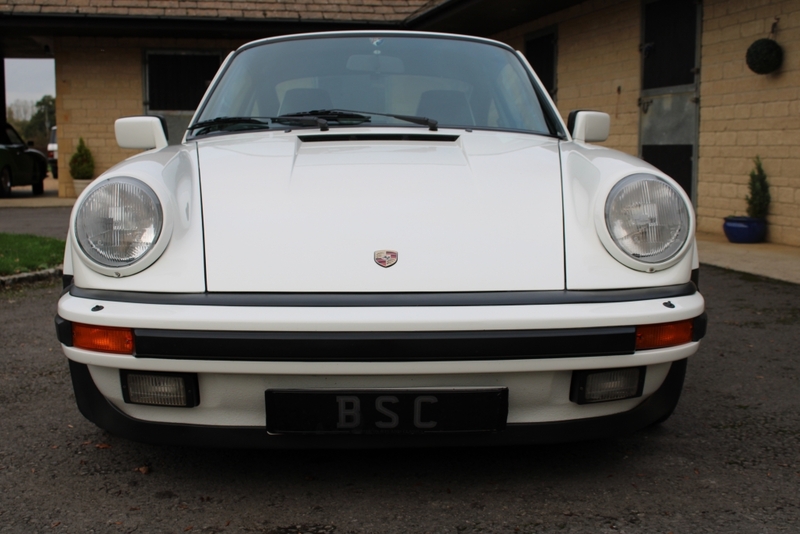 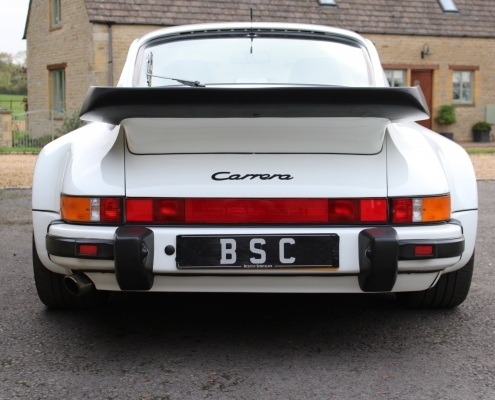 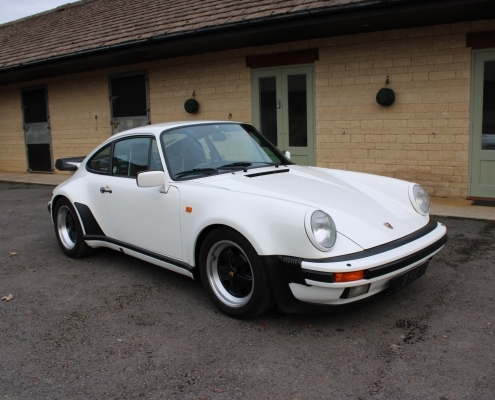 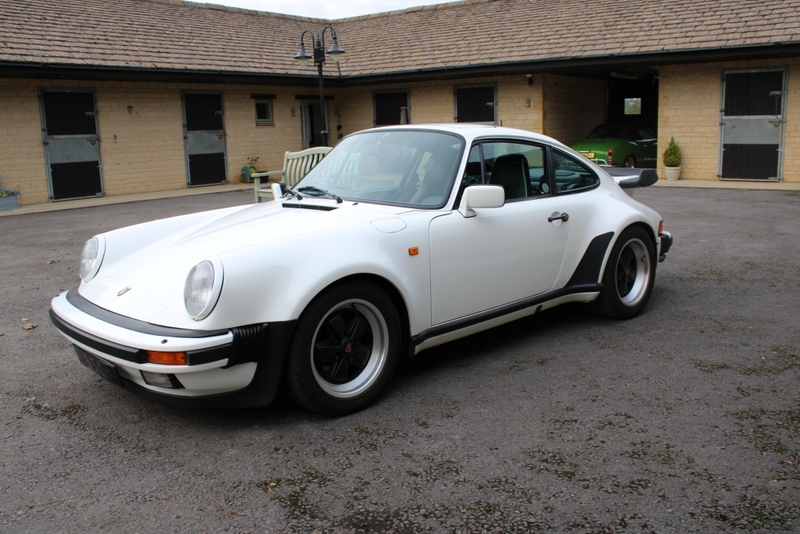 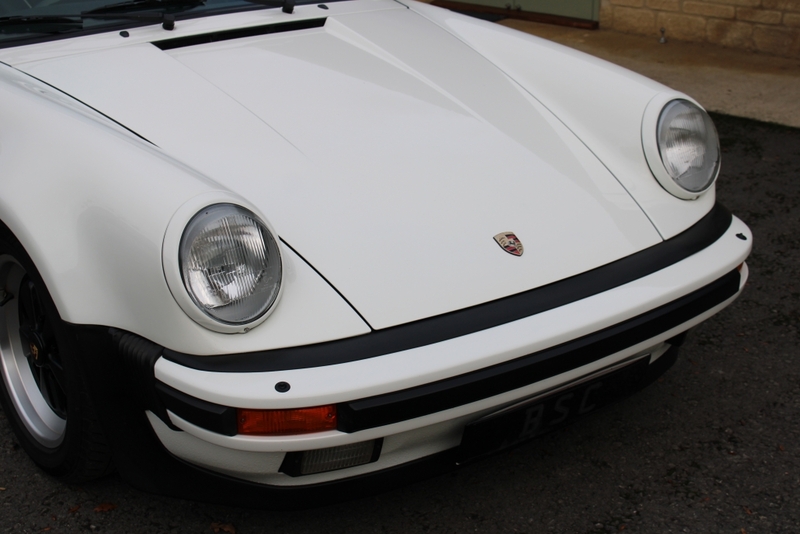 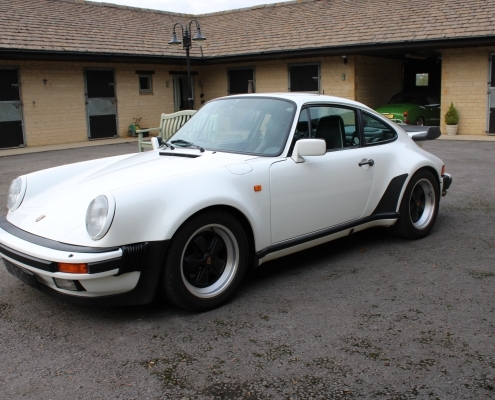 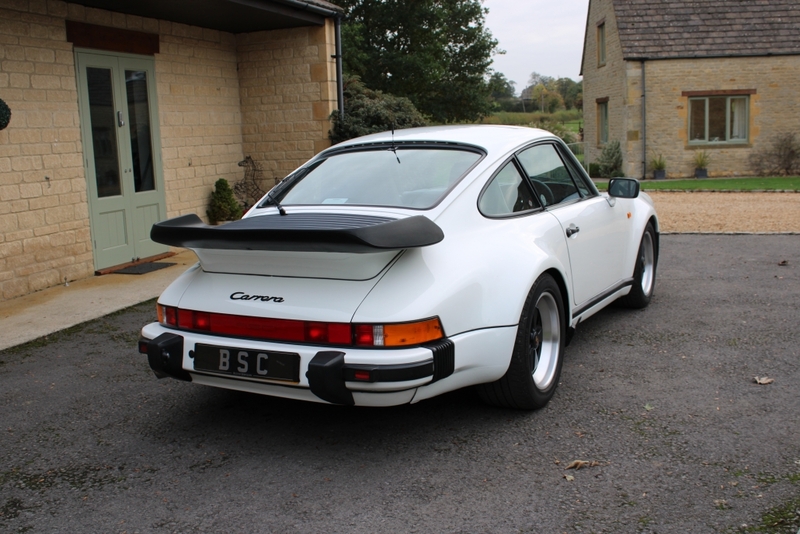 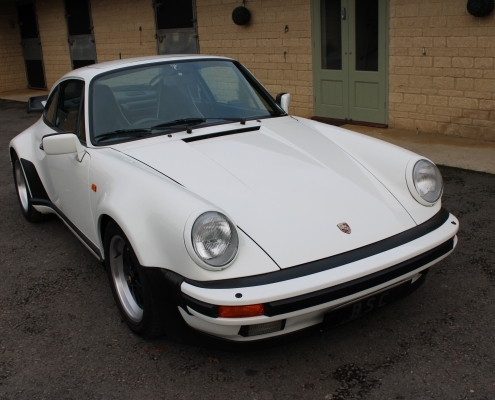 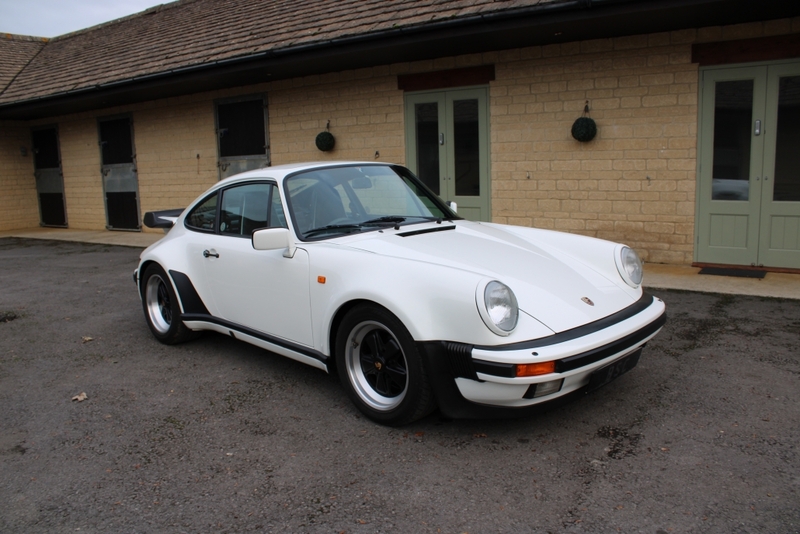 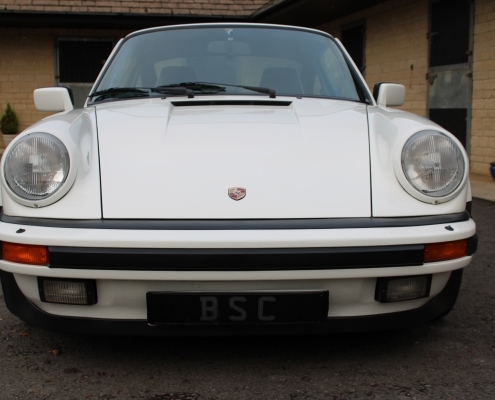 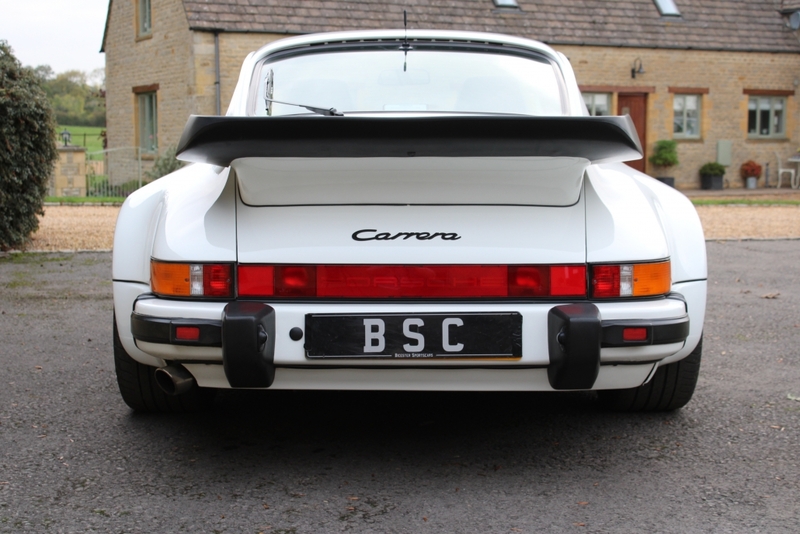 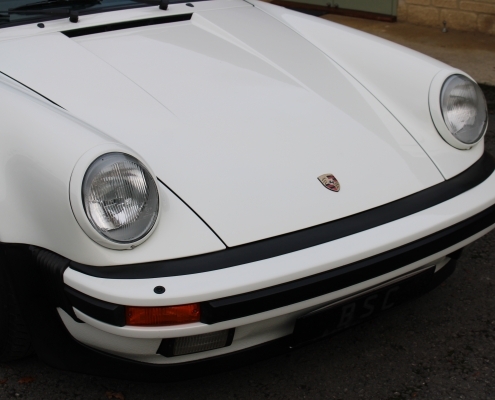 With only 5 owners the last being for 10 years she has been superbly maintained with a massive history file including invoices from the 1980s onwards all fully supported with the fully stamped original service book and is also featured in 911 books, calendars etc.. 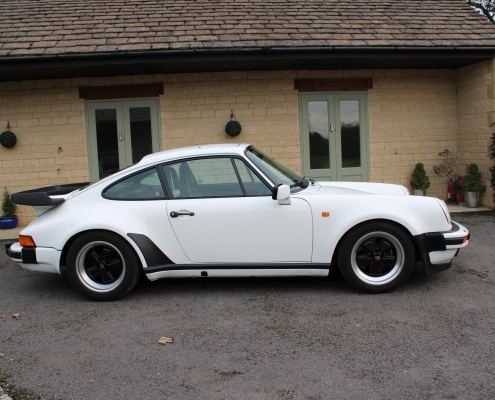 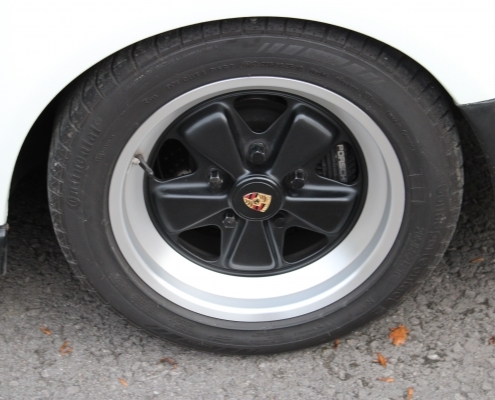 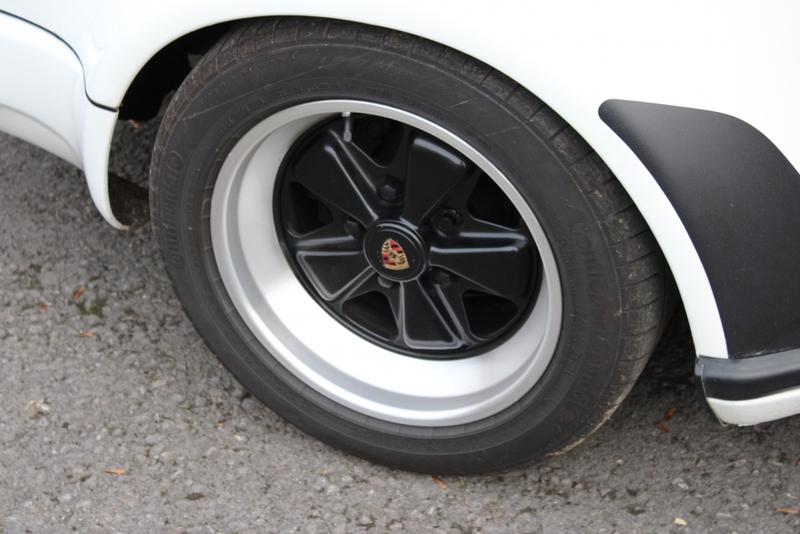 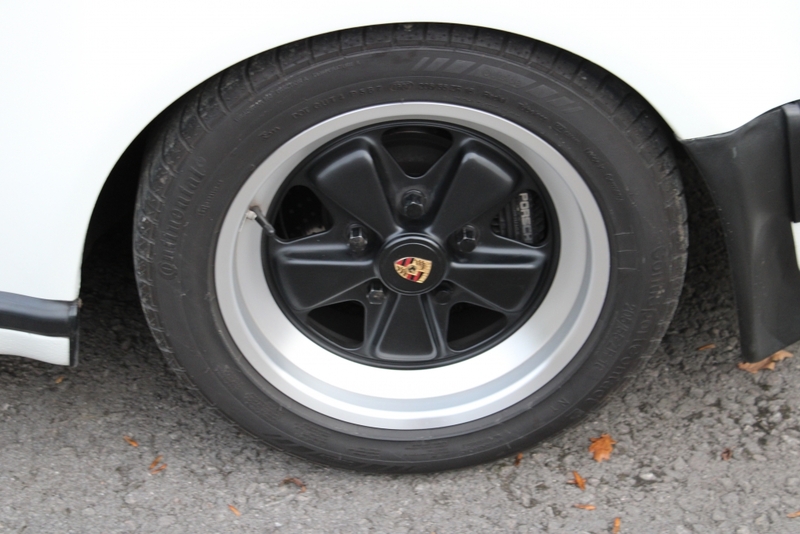 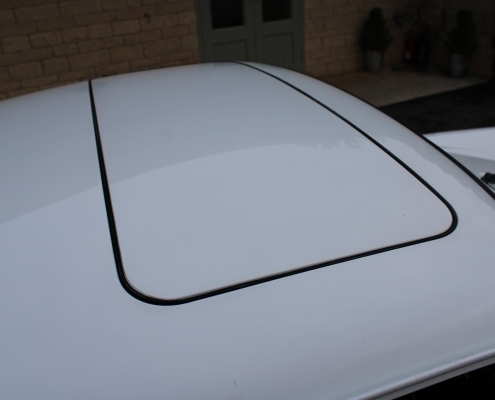 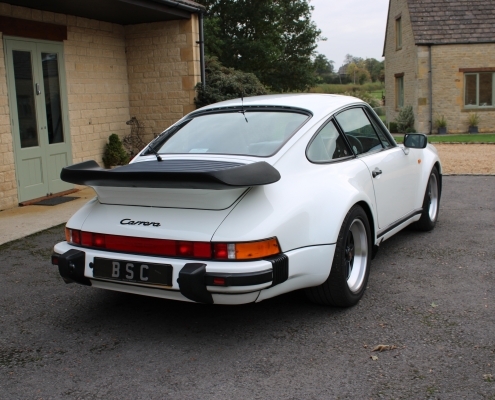 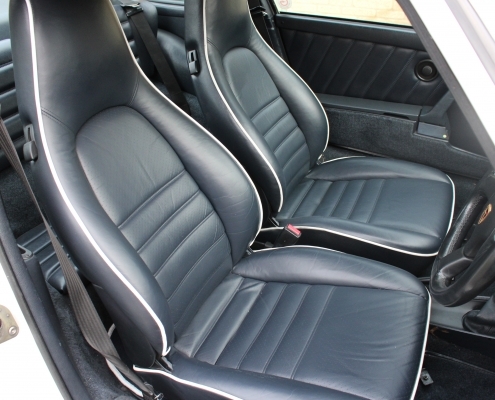 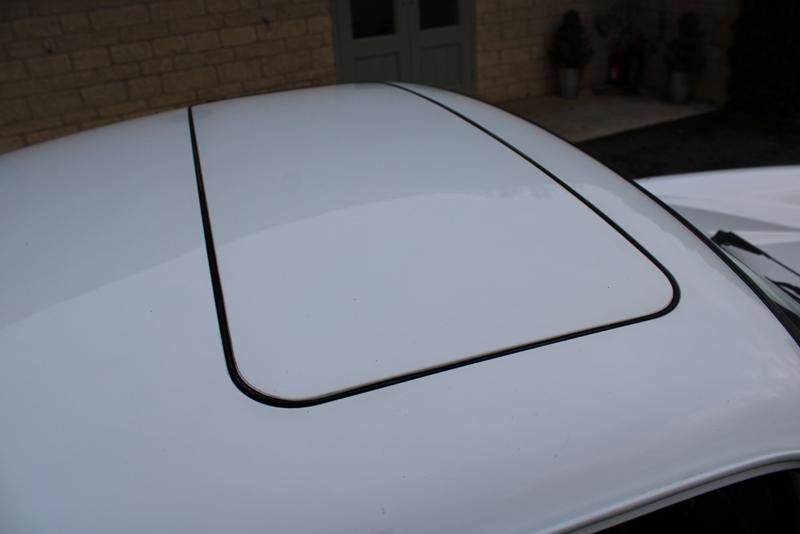 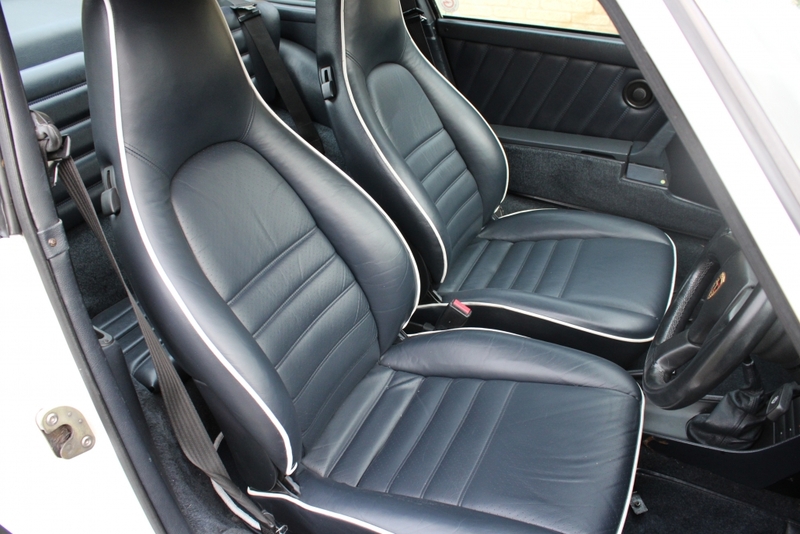 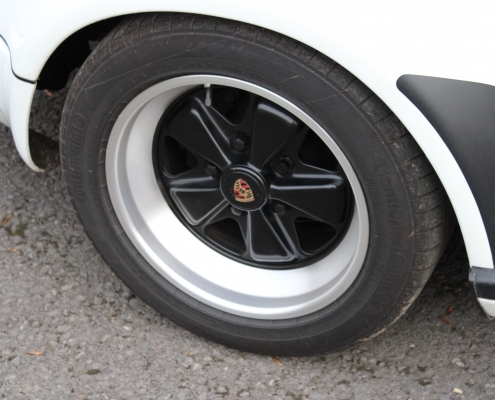 The result is the best driving original 911 you could purchase with a slick G50 gearbox mated to a lusty, howling flat six engine sounding amazing through a stainless steel sports exhaust. 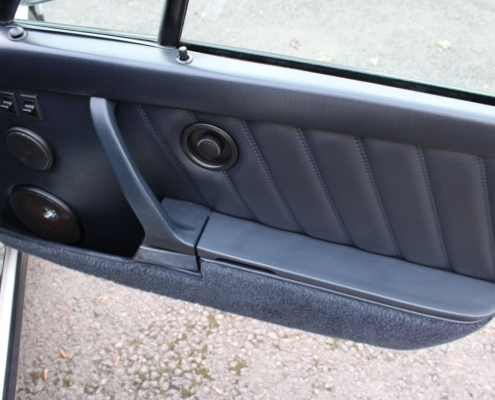 Supplied fully inspected, boroscope checked, serviced with 12 months warranty.